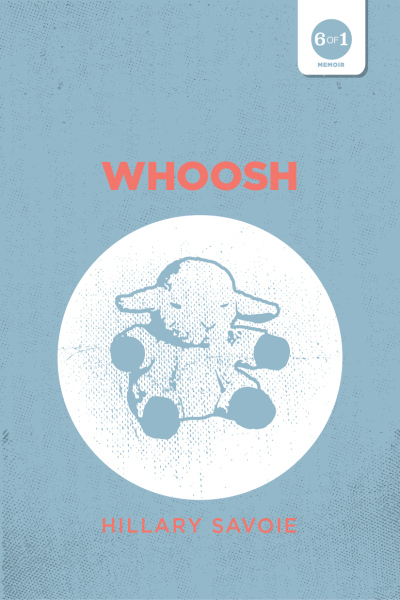 My second short book, Whoosh, will be coming out on July 15th. It is currently available for preorder through Amazon. It will also be available as part of the six-story paperback and e-book compilation, 6 of 1 Childhood, released by Ponies + Horses Books. I also feel compelled to tell this story because the day Esmé almost died is the day that changed everything for me, as a mother. It was the day I started to become Esmé’s mother–not the mother I’d expected to become, but the mother Esmé needed. The afternoon light in our bedroom filters through the pear tree in the side yard and bounces off the walls. I love the colour of this room, it lights up in the day with a calm energy. André and I chose the colour together after extensive debate, but we still can never agree what colour the paint is. “What’s the name of the paint? White Jasmine, right? It’s in the name. Obviously it is white,” he’ll say, teasing me. I cannot imagine anyone seeing the colour as anything other than a beautifully subtle shade of green. The calm weight of Esmé’s two-month-old body on my chest and the sweet rhythmic purring of her breaths telling me that there is absolutely nothing else in the world that I should be doing for the next few sweet moments. his famous chocolate chip lactation cookies, a recipe he developed a few years ago for his wife, Dana. I check the time. It has been two and a half hours since I fed Esmé. It is time to get ready to try to feed her again. I also need to pump. vomit… every three hours, all day and all night. insane… not that she is doing anything else that other two month olds are doing. I start to sit up in bed, the first step toward carrying her downstairs to warm her bottle, and she stirs. She grimaces for a moment and lets out a tiny whimper. Then she rolls her head a bit and looks up at me. As she does so, her head flops backward, jarring the rest of her limp body. Smiling at her, I look her over carefully, noting how pale she is, how one of her eyes opens far less than the other, how tired she seems just from the small effort of looking up at me. I meet her eyes. There is always something unsettling about her gaze. It is at once compassionate, mischievous, curious, and vaguely judgemental. I have the sense that she understands so much around her… that she is laughing at us, at our concern, lovingly, but still, laughing. It is hard to reconcile the look in her eyes with the incredible vulnerability of her body, with the repeated suggestion that she has a serious, but mysterious, genetic disorder. She closes her eyes for a moment, collecting herself. When she opens them again, she does so with a smile, eyes lit up, ready for more. Everything is that way, that is, except for her joy. She seems to have a never-ending supply of that. She smiles almost every moment that she isn’t sleeping or puking. Her body sometimes seems like it might just come apart from trying to hold all of her joy. My body seems like it might just come apart from watching her. I come back to reality in the hall. Kristin, André, and I stand there, stunned, as people rush in to Esmé’s room. We are unable to make sense out of the activity behind the dreadful green curtain. Soon we are directed down the hall and told to sit in the little room on the left—so that we won’t be in the way. We begin to oblige, but at some point on the way there it seems to dawn on us what this room is. We start moving like cattle heading to the slaughterhouse, slowing, curving away from the path ahead. We want to turn around, but we aren’t given an option. I do remember a visceral thought about how recently my baby was an actual part of my body… I can feel her moving further and further away from me and, for a moment I feel certain she is gone. I am also certain I will join her soon, because this loss will be impossible to sustain, the loss of a vital organ. We hear them call for a second infant crash cart. And I vaguely wonder about what room the mother of the other dying baby must be in. I think I’d like to sit with her, to comfort her. But there is no other baby, no other mother. The second cart was for Esmé. She needed both.